Each matched group comprised 404 patients. Median follow-up time was 3.2 years [interquartile range (IQR) 1.7–5.8]. ARRs were 0.22 (0.19–0.27) with heDMT and 0.32 (IQR 0.28–0.37) with meDMT; relapse rate ratio was 0.70 (95% CI 0.56–0.86; p = 0.001). Escalation to heDMT reduced the hazard of reaching a first relapse (HR 0.65; 95% CI 0.53–0.80; p < 0.001). We found no evidence of delayed disability worsening (HR 0.83; 95% CI 0.62–1.10; p = 0.20) and weak evidence of disability improvement (HR 1.33; 95% CI 1.00–1.76; p = 0.05) with heDMT. P. S. Sorensen and M. Magyari contributed equally. Members of the Danish Multiple Sclerosis Group are given in the “Acknowledgements”. The online version of this article ( https://doi.org/10.1007/s00415-018-9126-y) contains supplementary material, which is available to authorized users. 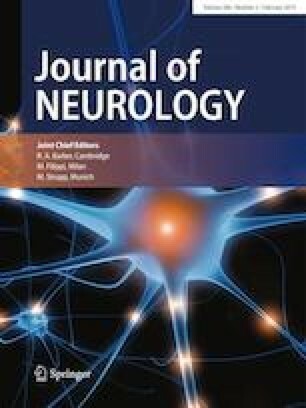 This study was supported by The Danish Multiple Sclerosis Society; Foundation for Research in Neurology; Gangstedfonden; Ejnar Jonasson called Johnsen and wife’s memorial fund. TC has received support for congress participation from Merck, Novartis, Biogen and Roche. TK served on scientific advisory boards for Roche, Genzyme-Sanofi, Novartis, Merck and Biogen, steering committee for Brain Atrophy Initiative by Genzyme, received conference travel support and/or speaker honoraria from WebMD Global, Novartis, Biogen, Genzyme-Sanofi, Teva, BioCSL and Merck and received research support from Biogen. BL has nothing to disclose. PS has received personal compensation for serving on advisory boards for Biogen, Merck, Novartis, Teva, MedDay Pharmaceuticals and GSK; on steering committees or independent data monitoring boards in trials sponsored by Merck, Teva, GSK, and Novartis; and has received speaker honoraria from Biogen, Merck Serono, Teva, Sanofi-Aventis, Genzyme, and Novartis. MM has served on scientific advisory board for Biogen Idec, Novartis, Merck, Sanofi and Teva; has received honoraria for lecturing from Biogen Idec, Merck, Novartis and Genzyme; has received support for congress participation from Biogen Idec, Novartis, Genzyme and Teva.